The Plateau region is physically defined by two major river systems, the Columbia and the Fraser. Some 240,000 square miles of land east of the Coast Range (British Columbia) and the Cascade Range (Washington and Oregon) are drained by these rivers. Plateau Indian territory encompassed present-day eastern Washington; eastern Oregon; extreme northeastern California; northern Idaho; extreme western Montana; and interior portions of British Columbia. 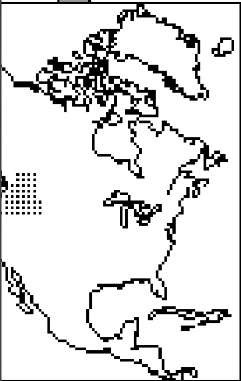 Aboriginal population estimates for the Columbia Plateau range between 50,000 and 60,000 people. Climatically, the Plateau is a land of extremes. The northern, or Canadian, Plateau is heavily forested and receives significantly more rain than does the semiarid southern, or Columbia, Plateau. Summer temperatures may approach those of the deserts, whereas near-Arctic cold regularly grips the region in winter. Most Plateau tribes spoke dialects of either Sahaptian or Interior Salishan languages; the former, along with Wasco-Wishram (Upper Chinookan [Kiksht]) and Modoc/Klamath, are sometimes grouped as Penutian languages. The Kootenai spoke a linguistically isolated language. Owing to trade and familial considerations, however, many groups were functionally multilingual. Athapaskan-speaking Indians such as the Carrier and Chilcotin, considered Subarctic peoples in this topic, are occasionally grouped within the Plateau area. A dependence on inland fish, particularly salmon, as well as roots and berries, was a defining characteristic of Plateau Indian life. Other typical traits included the use of semisubterranean pit earth houses as well as aboveground mat longhouses, the production of a wide variety of grass baskets, individual relationships with guardian spirit helpers, an appreciation of individual dignity and autonomy,and a reluctance (at least before the early eighteenth century) to engage in warfare. In the eighteenth and nineteenth centuries, acquisition of the horse made buffalo hunters and raiders out of many groups. Not surprisingly, contact with non-Indians resulted in enormous population and territorial losses as well as significant cultural loss. With the help of land claims awards, favorable legal rulings concerning subsistence rights, and an increasingly well-educated population, Plateau tribes today are attempting with increasing success to rebound from the relative misery of the past 150 years. People have lived in the Plateau region continuously for at least 10,000 years. Cultural and linguistic continuity dates back at least several thousand years. During much of this period there was no effective cultural boundary between the Plateau and adjacent parts of other regions such as the Great Basin. Although technology changed through the centuries (for example, people adopted specialized grinding tools circa 3000 B.C.E. and the bow and arrow circa 500 B.C.E. at the latest), the basic lifestyle remained similar from the earliest days to the arrival of the horse in the late prehistoric period. Although salmon and other fish were a staple food for most groups, Plateau Indians also gathered plant foods such as camas, kouse root, bitterroot, and a variety of berries. Roots were often cooked in earth ovens. Plants provided essential medicines and raw materials. Hunting provided additional nourishment: Depending on location, game included deer, elk, antelope, mountain sheep, and bear as well as rabbit, squirrels, and other small game. Most Plateau groups followed a regular migratory route to obtain foods at their greatest productivity. The purpose of Plateau food acquisition was both to meet immediate needs and to built up a surplus for the lean winter months and for trade. Winter villages, usually located along waterways, were occasionally occupied all year, although generally the dwellings were dismantled and their mats used in temporary summer shelters. Houses generally consisted of semisubterranean lodges (roughly 5 feet deep and 10-16 feet in diameter) of grass, brush, and earth over planks (probably an older style). Roofs were either flat or dome shaped. Entrance was gained through the smoke hole. In summer and perhaps later in time people lived in rectangular tule mat-covered structures with inverted V roofs. Shared hearths ran along the center. These reached lengths of up to 60 feet and accommodated from two to eight families. Secretary of the Interior Harold Ickes accepts the new constitution and by-laws from leaders of Montana’s Flathead Reservation, October 29, 1935. In the Thompson River region, circular winter pit houses generally had pyramidal roofs through which one entered and descended on notched ladders. These houses, 20-40 feet in diameter, accommodated 15 to 30 people. Sweat lodges were generally constructed of grass and earth over a wooden frame. Food was stored in pits or on wooden platforms. Twined "Indian hemp" and tule were two of the most important raw materials for Plateau Indians. The former (along with sagebrush and willow bark) was used to make cordage, baskets, hats, bedding, and nets for fishing and hunting rabbits. Tule, a type of bulrush, was used in the manufacture of mats, which were in turn used as house coverings, flooring, and corpse shrouds. Twined and coiled baskets, often made of spruce or cedar root, were ubiquitous on the Plateau. People used them for household utensils, cooking vessels (boiling by placing heated stones in liquid), water and burden containers, drinking cups, cradles, and numerous other purposes. Bark containers were also used. Basket weavers and bone carvers, in particular, sometimes reached levels of artistic excellence. Some baskets were decorated with geometric designs,especially in the Thompson River region. In the Middle Columbia region (Sahaptian speakers), Northwest Coast influence revealed itself during the late prehistoric period in art motifs of humans and animals. The bow and arrow was the principal hunting tool and weapon. Spears were also used and, in war, clubs and armor of rawhide or wooden slats. Arrows were straightened with an elk bone wrench and smoothed with sandstone tools. Fish were speared, netted with weirs and traps, or, especially in the north, caught with hook and line. Women used a stick, sometimes tipped with antler, to dig roots. Other tools, such as pestles and mauls, were made from stone (basalt and granite), bone, and other materials. Dugout as well as bark canoes served as water transportation. Some Indians also regularly burned certain areas to make them more productive and attractive to game. Before the equestrian tradition became established, clothing was generally made from bark, grass, and fur. Men and women wore breechclouts or aprons and ponchos. Men wore fur leggings in winter; those of women were made of hemp. Ornaments were fashioned from a number of materials, including olivella and dentalium shells from the Pacific Ocean, river clam shells, and various bones. Plateau Indians traded widely as part of a huge regional network. The largest and most important trading center was located at the Dalles and Celilo Falls, at the head of the Columbia gorge. Surplus salmon—dried, pounded into meal, and stored in salmon skin and cattail bags—was one of the main trade items. Groups from hundreds of miles around brought their specialties: Dentalium and other shells, obsidian, baskets, meat, animal products, clothing, and later slaves and horses were among the most important items. The trade fairs were also centers of cultural exchange. At least before the advent of the horse, most Plateau societies were relatively egalitarian. That is, villages were politically autonomous, and the authority of village chiefs lay more in their ability to persuade and adjudicate than in their power to make rules and enforce decisions. Women as well as men could be chiefs of many bands. Specialized leaders such as salmon and war chiefs exercised leadership in specific situations. Slavery was hereditary only in far western groups with close ties to Northwest Coast Indians. In general, Plateau society was held together less by authoritarian means than by an ethic of sharing and obligation as well as by kinship and trade networks and associations. Because people rarely married within their own village, these networks were quite extensive throughout the Plateau. Furthermore, marriage networks generally survived even death, as a widow or widower often married her or his spouse’s sibling. Plateau Indians practiced a sexual division of labor, in which women gathered plants, processed and prepared food, and took care of young children, and the men fished, hunted, and had a greater voice in politics, diplomacy, and military affairs. Aboriginal Plateau religion centered around the relationship between individuals and spirits of animate or inanimate natural things (animals, plants, phenomena, or physical features). Pubescent or prepubescent boys and girls undertook quests in remote places, at which time they often entered into a relationship with a spirit and obtained its song and power, which were revealed indirectly years later. In exchange for respect, which included honor during the winter dances, the spirit was thought to bestow important powers or skills. Shamans, salmon chiefs, and other highly skilled leaders were thought to have attracted one or more particularly powerful spirit helpers. Non-native influence in the Plateau region appeared with the introduction of the horse, from Shoshone peoples to the south, as early as 1730. Use of the horse influenced life on the Plateau in many ways. It allowed people to migrate over greater distances and to transport larger quantities of dried food. It generally favored political centralization and the formation of tribal structures. Although most groups, especially those on the Canadian and Upper Columbian Plateau, retained their traditional subsistence patterns, others began to hunt buffalo on the Great Plains (or greatly increased their buffalo-hunting activity) and to adopt other aspects of Plains culture, including full-scale raiding. The historical period among Plateau Indians began with the 1804-1806 Lewis and Clark expedition. However, as was almost universally true, by the time non-Indians actually appeared, Indian populations had declined substantially (up to 90 percent in some cases) owing to the advance arrival of previously unknown diseases such as smallpox and malaria. Disease epidemics among Indians continued well into the twentieth century. Fur traders followed on the heels of Lewis and Clark, and right behind them came missionaries. Initial relations between Plateau Indians and non-natives were generally friendly. By the early 1840s, the fur trade in the region had come to an end, and the great tide of non-Indian invaders began to pour in. One of the first major interracial conflicts occurred in 1847 when Cayuse Indians attacked the Waiilatpu Mission and killed its founders, Marcus and Narcissa Whitman, as well as several other whites. The motive behind this action was apparently that the Cayuse held the missionaries responsible for all the sickness and death among the Indians. They also saw the missionaries as symptomatic of the rapidly increasing assault on Indian land and the growing attacks on Indian traditions. In 1855, several Indian groups, mostly Sahaptian speakers, ceded millions of acres of land in exchange for reservations, financial considerations, and certain subsistence rights (such as fishing) guaranteed in perpetuity. Other Plateau reservations were established by executive order. Between 1855 and 1858, the Yakima and other Plateau groups fought in desperate wars of resistance with the U.S. Army and volunteers. Twenty years later, a Nez Perce band, in a famous and nearly successful act, chose flight to Canada rather than accept the loss of their beloved homeland and a greatly diminished reservation. British Columbia did not establish tribes and reservations per se, but rather created dozens of very small reserves for the individual bands. Although this process allowed most Indians to remain in their traditional territory, it left them with less land overall and discouraged social and political cohesiveness. Meanwhile, the rise of new Indian religions reflected the extent to which native culture was being altered by the new situation. Around 1860, a Wanapum (Columbia River) Indian named Smohalla had a vision while recovering from a wound. He spoke of the coming end of the world and the resurrection of the Indian dead. 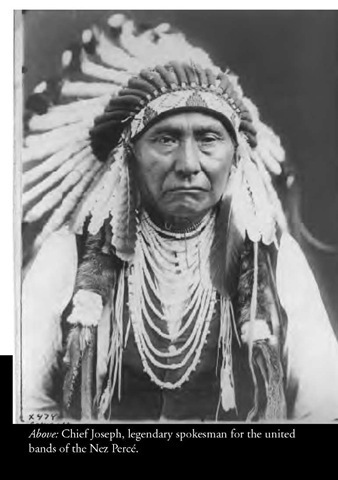 He urged Indians to resist Euro-American culture and reservation life and focus instead on attaining salvation through traditional beliefs and practices, including sacred singing and dancing. Smohalla attracted groups of defiant, antireservation Indians to his community near Priest Rapids. He was often jailed for opposing U.S. efforts to encourage farming among Indians. The teachings of Smohalla and other Plateau prophets were a direct response to the unprecedented destruction of Indian population and traditional lifestyle. They were as well an attempt to bridge the gulf between Indian religion and Christianity, past and present. These beliefs spread rapidly throughout the Plateau and formed the core of the Wdashat, Dreamer, Seven Drums, or Longhouse religion. Few Indians of British Columbia were conquered militarily, nor did they formally surrender title to their land. In 1884, 13 years after British Columbia joined the Canadian Confederation, the Canadian government simply discounted Indian landownership and passed its first Indian Act, under which it appropriated land and exercised legal control over Indians within Canada. Roughly 200 small reserves were created to accommodate the different bands. 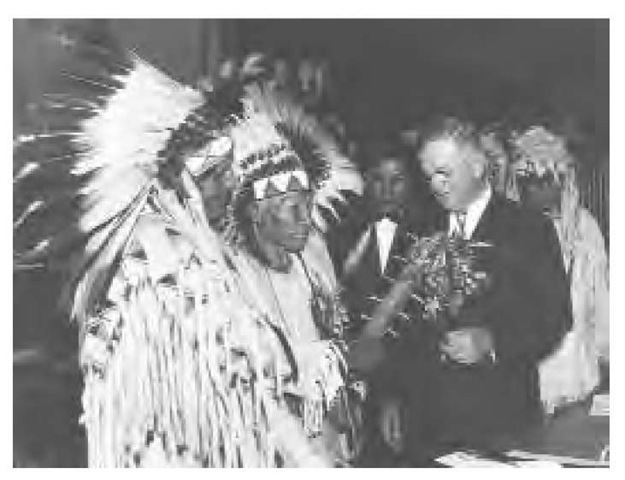 The thinking was to permit Indians to remain self-sufficient as they made the transition to the capitalist economy, whereas in the United States policymakers forced various groups of Indians to live together on large reservations, where they were strongly encouraged to become farmers and abandon their traditional identities. Like most North American Indians, Plateau tribes saw increasing difficulty in the late nineteenth and early twentieth century. Few treaty provisions that protected Indians were enforced. For instance, selling alcohol to Indians was prohibited, but offenders were never punished. Indians’ land base continued to shrink, sometimes dramatically, owing to a combination of strategies that included the infamous Dawes Act as well as unilaterally imposed "boundary negotiations." By that time, Indian culture was under full-scale assault at the hands of missionaries and Bureau of Indian Affairs (BIA) boarding schools. Most groups, previously independent and self-sufficient, sank into dependency and poverty. Government officials failed to transform these fishers, gatherers, and hunters into farmers. Job opportunities were minimal, and legal and social discrimination was rampant. Overall health on the reservations was poor. The tide began to change, ever so slowly, in the mid-1930s, with the passage of the Indian Reorganization Act (IRA). Although many tribes rejected its provisions, the act provided tribes with an opportunity to form governments recognized by the United States (even if the structures were largely alien to native tradition) and to begin to assume greater control over their lives. Unfortunately, the official termination policies of the 1950s undid much of the good of the IRA, and the general postwar economic recovery excluded most Indian reservations. Revitalization began again in the 1960s, a period of increased federal support to tribes as well as the emergence of a renewed identification with and pride in Indian heritage. In 1974, the issue of fishing rights came to a dramatic head with the so-called Boldt decision reaffirming Indians’ right to an active, vital fishery. Corollary concerns such as the effect on native fisheries of potentially destructive actions such as logging, pollution, and dams remain controversial. Fisheries issues may be seen as part of the larger and still controversial question of overall tribal sovereignty. This in turn is bound up with the still deplorable economic situation on most reservations: Although individuals and tribes receive income from timber, mining, grazing leases, and tourism, poverty and its concurrent social ills remain endemic. On an individual level, many Indians participate in traditional cultural practices. The Wdashat (Longhouse or Seven Drums) religion is particularly strong among Sahaptian speakers. Services are conducted in the Sahaptian language, and the religion is an important means for transmitting and affirming Indian identity. The Native American (Peyote) Church and various Christian churches are also represented on the reservations. Like many Native Americans, Plateau Indians face the challenge of retaining a meaningful Indian identity within a culture that cares little about such things. As the tribes become more important decision makers in regional economic matters, this challenge will assume growing importance and poignancy.